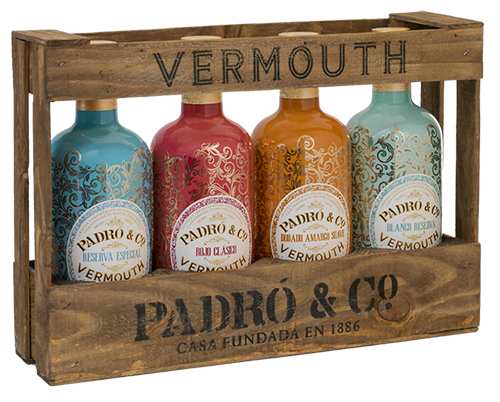 This special vintage-style gift crate, inspired by the wooden crates used at the Padró winery to transport returnable wine bottles in the 1960s, comes with one bottle of each of our 4 classic vermouths. Contents of the crate: 4 x750ml bottles. La nueva presentación consiste en una caja de madera para cuatro botellas hecha a mano, inspirada en las antiguas cajas de transporte de botellas de vino retornables que utilizaba la bodega en el año 1960. La caja contiene: 1 Padró & Co. Blanco Reserva, 1 Padró & Co. Rojo Clásico, 1 Padró & Co. Dorado Amargo Suave, 1 Padró & Co. Reserva Especial. 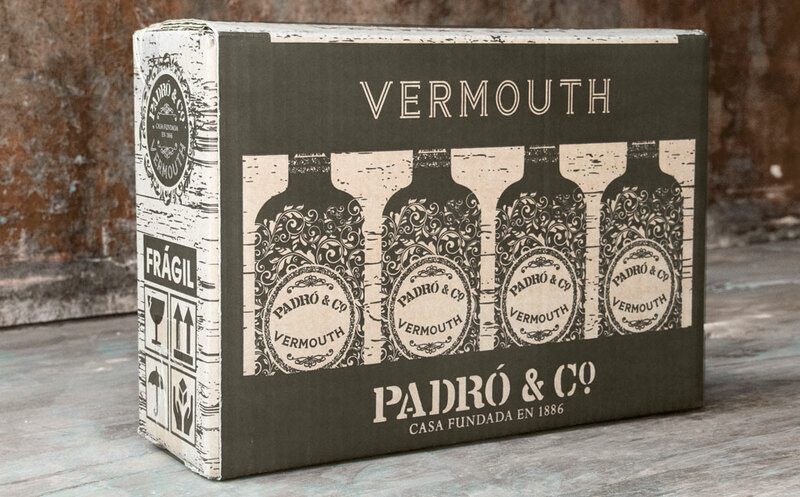 *Personalizable con cualquier combinación de vermouths. Vins Padró Winery (Bràfim) in 1960. 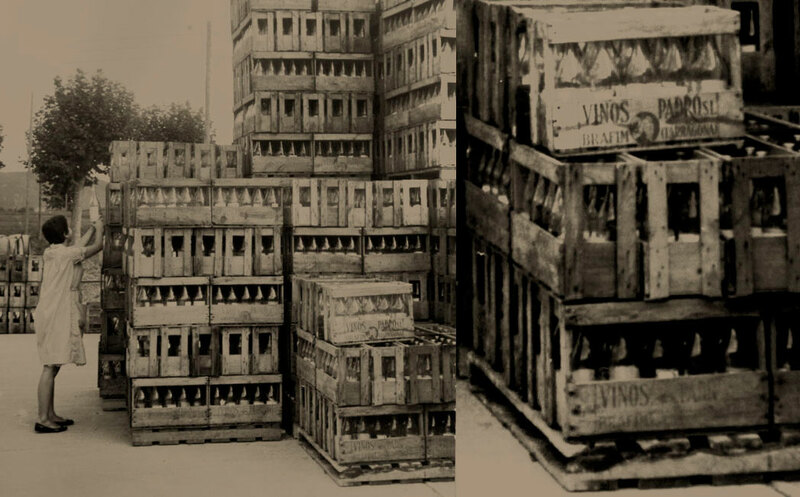 Wines were bottled in returnable glass bottles transported in wooden crates. The 4-bottle wooden crate comes packed in this smart cardboard box with an internal protective support.